Purpose Driven Life……1st 7 chapters FREE! If you haven’t yet read this book, now is your chance to read the first seven chapters Free. All you have to do is sign up for Zondervan’s (the big Bible publisher) Pathways newsletter. You will almost instantly receive a responce with a link to download the FREE PDF file. If you start now you can begin reading the book in just a few minutes. To get your free PDF download of What on Earth Am I Here For? by Rick Warren (the first 7 chapters of The Purpose Driven® Life), sign up for Pathways, Zondervan’s monthly Christian living email newsletter, by sending an email to purpose@zondervan.com. Once they receive your email, they will email you the link to where you can download your free copy. It’s almost an instant response. Over 30 Million Sold Worldwide! Rick Warren is often called “America’s most influential spiritual leader.” He founded Saddleback Church in Orange County, California, which is now one of the largest and best-known churches in the world. He also founded the Purpose Driven Movement, a network of tens of thousands of churches from all denominations in 160 countries. He has trained over 350,000 pastors worldwide. Here’s a link to an interview with ABC News. Rick and Kay Warren give away 90 percent of the profits from their books to charitable causes, including their global P.E.A.C.E. plan and Acts of Mercy, which services those infected with and affected by AIDS. Is Your Church Friendly Enough? An interesting tool designed to help you evaluate your church’s outreach to newcomers is a featured resource called, A Welcoming Church. It’s one of the several downloads available from BuildingChurchLeaders.com. Composed of seven assessments focused on making visitors feel at home, A Welcoming Church, will help you pinpoint areas of strength and weakness in your ministry to newcomers. Download it now to see where you’re succeeding and where your church can improve its hospitality. When you get there, click on the “Take Assessment” button. While we are talking about being friendly, let me introduce you to the happiest blog on earth. It’s called, http://www.smilemyday.com They hope to collect a million happy faces on their blog. Let’s help and send in our smiles. Did you know that your smile is contagious? Try it and see. According to one article, smiling is also good for the person doing the grining. Smiling elevates the mood and makes us feel happier. It’s not a cure-all for every situation but it helps when facing life’s challenges. Surf the Web Faster, Free! It’s out, it’s better and it’s Free! I’m talking about the new Internet browser Firefox 3. If you use Internet Explorer to surf the web, it’s time to try out the new Free Firefox 3. It works on both PC’s and Macs. It set the download record with 8 million downloads during the first 24 hours it became available. The Firefox Web Browser is the faster, more secure, and fully customizable way to surf the web. For one thing it uses less memory which makes it work much faster. Try it, you’ll like it. If you do, check out Customize Google. It makes Google work much better with Firefox. For those of you who really would like to make the most out of FireFox 3 check out these Secret Tips. One of the very nice things about Firefox 3 is that it lets you personalize your browsing experience with the use of Free Add-ons. Add-ons are free little programs that make your internet surfing experience much easier and convenient. One of the best Free Add-ons I’ve come across and use daily is Tab Mix Plus. This Free little program enhances Firefox’s tab browsing capabilities. It’s a must have! Tab Mix Plus includes the following features: duplicating tabs, controlling tab focus, tab clicking options, undo closed tabs and windows, and a whole much more. It also includes a full-featured session manager. What this short YouTube FireFox / Tab Mix Plus Overview to view some of it’s features. When you’re ready to download Tab Mix Plus click here. Here’s a creative way to reach people wherever you go using Mission Possible Cards. (It’s an evangelistic business card) They are designed with your ministry info. on one side and an invitation to visit the AllAboutGod.com web site on the other side of the card. AllAboutGod.com presents the Gospel and assists people with life’s challenges. I think that it is very nicely put together. You not only give someone a business card with your message on it but also a web site to visit so that they can discover on their own the message of Jesus Christ. Business cards are culturally acceptable which makes this a great idea. Mission Possible Cards use a personalized ‘Business Card’ that makes it POSSIBLE to be a MISSIONary. Share your info, church, testimony, and AllAboutGOD site. The card shows you CARE, you SHARED, and will BE THERE! Mission Possible Cards are Free. After you add your information to the cards, you can print them yourself, directly from the website, or for a small fee they can print the cards for you. Listen to the Radio on your PDA, FREE! Why would anyone want to convert a $375. PDA into a $10.00 radio? Answer: because you could, plus, why not? It’s Free! Yes, you can now listen to your favorite radio programs on your PDA. What’s really nice is that you can also listen to radio stations that are not in your regional listening area. This includes out of state radio stations including many from all around the world. Did I say you get all this for free yet? Whether you have a Windows Mobile, Palm, Blackberry or any Pocket PC / Smartphone, as long you have web access, you’re good to go. Just make sure that your phone plan includes unlimited access to the web or it may cost you a bundle. In this post I’m going to introduce to you five sites where you can get FREE Streaming Media (or Internet Radio) for your PDA. The first one is my favorite. 1. Point your device to: http://www.thestreamcenter.com/pda/ or the specially formatted alternative shorter url: http://www.tuned.mobi/. Here you’ll have access to just about all of the AM and FM radio stations broadcasting in the United States (plus stations from Canada, the UK, Ireland, Australia and the Netherlands). This is way cool if you ask me. I like the option to search for stations by either station name, callsign or music style. Since most of the stations display a short description you can search keyword “Christian” to find all of the Christian radion stations available or you can just scroll down (for a long time)until you find one. You can also use “TheStreamCenter” to listen to streaming internet radio on your computer desktop. Just visit: http://www.thestreamcenter.com/, scroll down to a station and click on it’s stream. Two of my favorite stations there are KDUV (for Christian music) and KKLA (for Christian Talk Radio). 2. Another place to listen to Internet radio on your smartphone or Pocket PC shows is: RadioShows.mobi. Once there, you will see a directory of Internet radio shows and stations. You can listen live or on-demand. The directory includes schedules and stream links for talk radio, current events, business, the arts, and other programming. Many top talk radio shows can be found on the Popular Internet Radio Show channel, including Rush Limbaugh, Dr. Laura Schlessinger, Bill O’Reilly, Sean Hannity, Al Franken, and others. 3. MSMobiles.com has put together a mobile site with links to some of the most popular streaming sites in English. Go to http://mobile.msmobiles.com/radio.php click on the stream you want to listen to, sit back and enjoy. Links include CNN, adio, NPR – National Public Radio, Bloomberg Radio, Air America Radio, the BBC, and more. 4. Live365.com is a very popular music site that also allows you to listen to the radio on your pda and desktop. They have a great music selection. Just type: live365.com in the browser of your phone or PC/Mac and get access to a plethora of music. Select Inspirational from the Stations by Genre then simply select a stream. 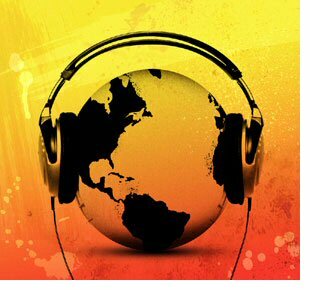 Three of my favorite internet radio stations are: eXTreme Gospel, Church Beat Radio and Praise Broadcasting. Check them out. They also have a paid version at: www.live365.com/mobile . The paid version removes ads, and has access to additional stations. What’s nice is that you can try it out for 15 days “without” using a credit. 5. Last but not least, visit Shoutcast.com. Here is a spot where you can tune-in to thousands of free online radio stations from DJs and broadcasters around the world. Once you arrive click on Comprehensive Genre List, select Gospel, then click on Search. The result will display a list with a variety of stations for you to choose from. It’s awesome. Keep in mind that this technology (streaming internet radio) isn’t perfect so you may notice short pauses or “buffering” while you listen to your streaming radio. Also, make sure you have a strong wireless connection (as many bars as possible) on your phone for a good experience. If you receive an error, just try it again, click on your refresh button, or the big red X and start over by returning to your home screen on your pda. If you really have problems take out the battery, put it back in and try again. Be Creative. Listen to internet radio from your desktop speakers. Plug in a stereo audio cable from your pda earphone jack to your computers desktop speakers line-in jack (if it has one). You may need an adapter to convert the connection from the pda headphone jack to the cable. Just ask your local electronics store manager for help (I use a female mini to male sub-mini stereo adapter for my Palm Treo 755p ). Note: If you listen to internet radio on a PC (not on your PDA or Smart Phone) you may want to restart your computer every 3-4 hours since it will cause your pc to slow down because of all of the resources it takes to run. If you are on a network, streaming internet radio could also slow down the overall network performance especially if several people are streaming from the internet simultaneously and you are on a slow internet connection. One way around this problem is to stream internet radio from your web enabled phone and not from your computer. If you car has a cassette deck, get a cassette deck adapter. Slip the cassette adapter in your cassette deck and plug the other end in your PDA Smartphone headphone jack (using the adapter). Now pick a station and enjoy your streaming radio. This will work for the music files on your phone as well, see below. Listen to worship music on your iPod/Mp3 player/Smartphone through your church, office or home sound system, FREE. I know what you’re thing, “if I can stream internet radio, can I listen to my phone’s music files in my car, house, church or home stereo system too?” The answer is absolutely YES! Just follow the same procedure used earlier. Just connect one end of the cable (with or without the cable adapter) to your phone and the other end into your sound system, now sit back and enjoy! Something else you may want to consider is to connect your phone to an FM Transmitter (you will probably need the adapter again). This will allow you to enjoy streaming internet radio (or your music files) from your phone to your car, home, office, or church stereo system without long messy cables. Just select the FM station indicated on the FM Transmitter and enjoy. Have Fun. If you enjoy having access to a variety of music I’m sure you will appreciate the ability to stream internet radio on your pda. Just remember to save your favorite stations to your pda favorites. Another thing to keep in mind is that streaming internet radio on a pda drains the battery fast. It’s not that big of a problem. Just plug in your pda while your in the office, your car and at home. The only situation I run into when streaming internet radion or listening to my music files on my pda is, wouldn’t you know it, when I get interrupted by a phone call. In that case I either ignore the call and continue listening (that’s what voice mail is for right?) or just take the call. If you really enjoyed this post you will definitely like this one. What’s your favorite Internet Radio Station? Would you sponsor me for the Run for Hope? There’s only 3 days left. Check out these Free drama skits from dramashare.com challenging Christians to evangelism. Normally, you have to buy them because they are only free to members of DramaShare. DramaShare is the worlds largest resourse center for royalty-free Christian drama scripts, skits, sketches, sermon starters, full length drama,and more. Here are several generously made available to be used for Internet Evangelism Day (IE Day). All of the links below are PDF files. But I’m Ready – 8 minutes, 2 actors. Challenge to do outreach, not just wait for Jesus’ return. Parable of the Lifesaving Station – monologue, 5 minutes. Challenge of not losing our evangelistic purpose and mission. Great Commission Christian – 5 minutes, 1 actor, 1 voiceover. We can fulfil the great commission, with his strength. Getting It Done – 20 minutes, 3 actors. The need for evangelism. Debate it or do it – 6 minutes 6 actors. Be sure to check out IE Day for a whole bunch of other excelllent resources including scripts, evangelism challenge music and drama advice. Here is a powerful skit that any group can put together called, “Lifehouse’s Everything”. It’s completely wordless. A mime act if you will. If you don’t like to talk in front of people you can be part of this skit. It’s awesome! What’s been your experience using skits in ministry? You got things to do, places to go, people to see and souls to save. How do you remember it all? Introducing, “Remember the Milk“. It’s one of the best ways to manage your tasks online. I like it! For people busy in ministry, this is just what the doctor ordered, and it’s simple and easy to use. If you have long term or future projects, Rememer The Milk can help. The best thing I like about Remember The Milk is that you always have access to all of your tasks. You can even access your “things to do” from your Blackberry (with the professional version). That’s nice. Take your tasks with you. Access your tasks on your web-enabled mobile device. Print your entire list or a handy weekly planner which shows upcoming tasks. View your tasks on your calendar with Apple iCal or Google Calendar. Subscribe to feeds with Atom/RSS. Manage tasks quickly and easily. An intuitive interface makes managing tasks fun. Set due dates easily with next Friday or in 2 weeks. Extensive keyboard shortcuts make task management quicker than ever. Receive reminders via email, SMS, and instant messenger (AIM, Gadu-Gadu, Google Talk, ICQ, Jabber, MSN, Skype and Yahoo! are all supported). Work together to get things done. Share, send and publish tasks and lists with your contacts or the world. Remind your significant other to do their household chores. See what’s due today and tomorrow, and the things you’ve missed. Prioritize, estimate your time, and postpone with ease. Set tasks to repeat every week or after 2 months. Are you a list lover? Create as many lists as you need. Into tagging? Use the task cloud to easily see what you have to do. Want to store notes along with your tasks? You can do that too. The best thing about Remember the Milk (besides being FREE) is that your to-do list is always available. You can access it on your computer or your pda/smartphone. If you need something simple and easy, look no further.